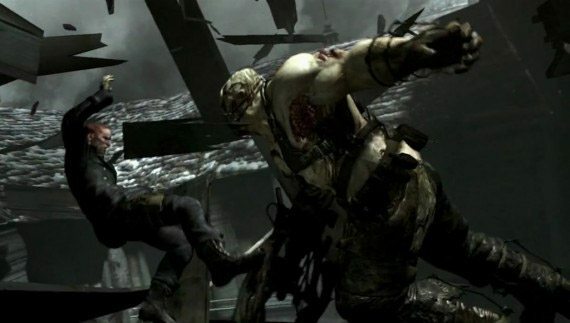 Need a hand in Resident Evil 6? Resident Evil 6 has landed and so has its official strategy guide from Brady Games. While not everyone is the kind of person to make use of such a thing, completionists will find it handy as it includes details on all the items, maps of all the areas, information on weapons and even guides on beating the game, area by area in both co-op and singleplayer modes. Who doesn't need a bit of help with the undead? As well as being handy for getting all of the achievements, it’s a good piece of background material that hearkens back to the days of old, where you’d get a proper dossier of background information on the game. The guides are available in two formats – limited edition and signature series. Signature series is the cheaper of the two, at £15, and offers the baseline guide in softback. Limited Edition is more of a collector’s item, with a price point of £20 and three exclusive embroidered patches of organisations in the game: The Bioterrorism Security Assessment Alliance, the Division of Security Operations and La Vita Nuova. The book also comes with a hard cover, which includes a special holographic foil and a gloss-matte finish. You can pick up the Resident Evil 6 Strategy Guide from your local game shop, or order it online from Amazon and other big retailers. Or click here if you’re feeling lazy. We’ll be having a look at the guide in the days to come, playing through the game and judging its effectiveness so stay tuned for that too.